Richard Malthouse in batting action for Flixton in their tense one wicket win against Broadbottom in the National Village Cup. Picture by Steve Lilly. Flixton staged a dramatic fightback to beat Broadbottom by one wicket and advance into the last eight of the National Village Cup. 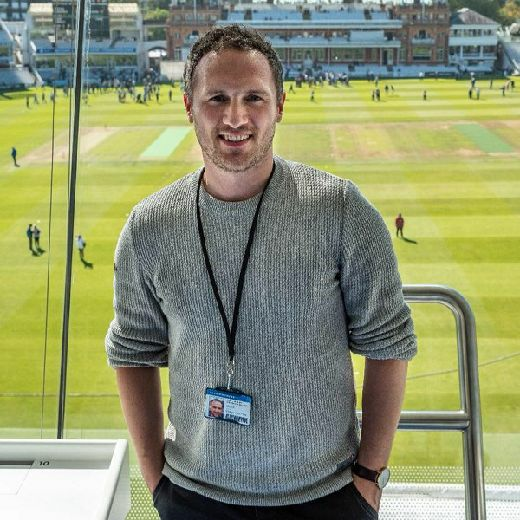 The hosts won the toss and asked Broadbottom to bat first, a decision that looked to have backfired as visiting opener Aaron Walsh hit a stunning 100 before falling lbw to Richard Malthouse. Broadbottom fell away from 215-4 to 263-9 as Harry Walmsley claimed 3-52 from his seven-over spell, Connor Stephenson also taking 2-39 and Jamie Nesfield and Malthouse also chipping in with a wicket apiece. Visiting skipper John Dodd hit 46 and Chris Cheetham-Roberts added 27, but Flixton battled back and the lower order misfired, but the visitors still would’ve been content with their total of 266-9 from their 40 overs. Flixton made a decent start to their run-chase until Stu Stocks departed for 18 with the score on 40. 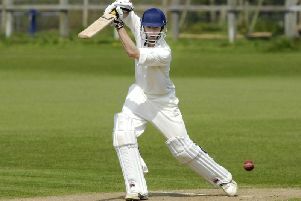 Malthouse (44) and Tom Norman (28) recovered the Flixton innings until the latter was dismissed with the hosts on 87-2. Youngster Will Hutchinson came and went for three and it looked like Flixton were heading for the exit at the last 16 stage. However, Will Norman crashed six sixes and three fours as he made a crucial 66 to put the home side back on track. Broadbottom weren’t done just yet though and they took wickets at regular intervals and appeared to be back in the driving seat after dismissing Matt Nesfield (12), Harry Walmsley (4) and Jake Hatton (7), Flixton falling to 210-8 and on the brink of defeat. But a superb fightback ensued as Connor Stephenson hit four fours and a six on his way to 30, but when he departed Flixton were teetering on 238-9 and looked out of it. However, Jamie Nesfield hit two sixes and four fours as he hit a matchwinning 37 not out, with youngster Marley Ward holding his nerve at the other end onone not out to help seal a dramatic win.